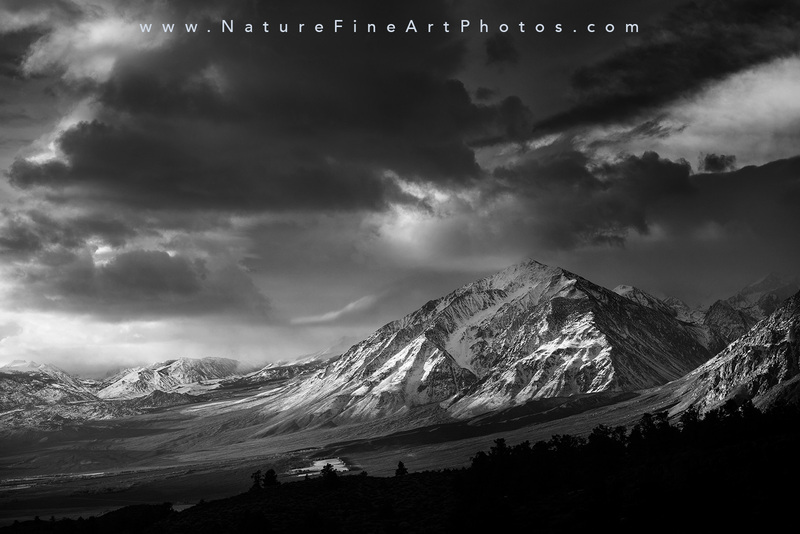 Black and white photo of the glistening snowy mountain range in Sierra Nevada mountain range in Mammoth Lakes, CA. The massive mammoth peaks, spectacular landscapes, and magnificent skyline are Sierra Nevada’s impressive features. The peaks range in height from 11,000 ft to 14,494 ft – Mt. Whitney. The Sierra Nevada’s are a huge picturesque playground. Everywhere is beautiful and recreation is abundant.